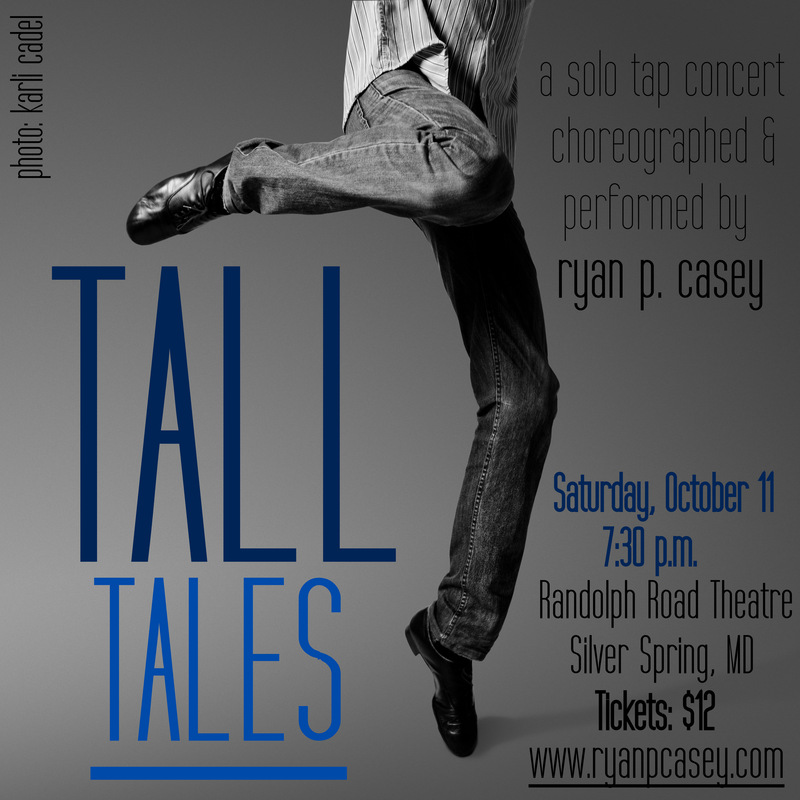 If you’re in the D.C. area, I hope you’ll catch the debut of my solo show, “Tall Tales,” this month! It’s coming to the Randolph Road Theatre in Silver Springs, MD, on Saturday, October 11, at 7:30 p.m. Tickets are only $12, and you can buy them online. Fingers crossed for a full house for this exciting evening! on Friday & Saturday, October 24 & 25 at 7:00 p.m.
Later in the month, join me in Chicago to celebrate the 25th anniversary of Jump Rhythm Jazz Project! I’ll be performing in this special concert for four nights, starting October 30, at Stage 773. My workshop at Hofstra University was re-scheduled for this month, and I can’t wait to be back there on October 4! Even if you can’t make it to my solo show in D.C., you can still come take class with me: Knock on Wood Tap Studio is hosting me for two classes on Sunday, October 12: Beginner/Intermediate at 1 p.m. and Intermediate/Advanced at 2:30 p.m. Only $20/class! 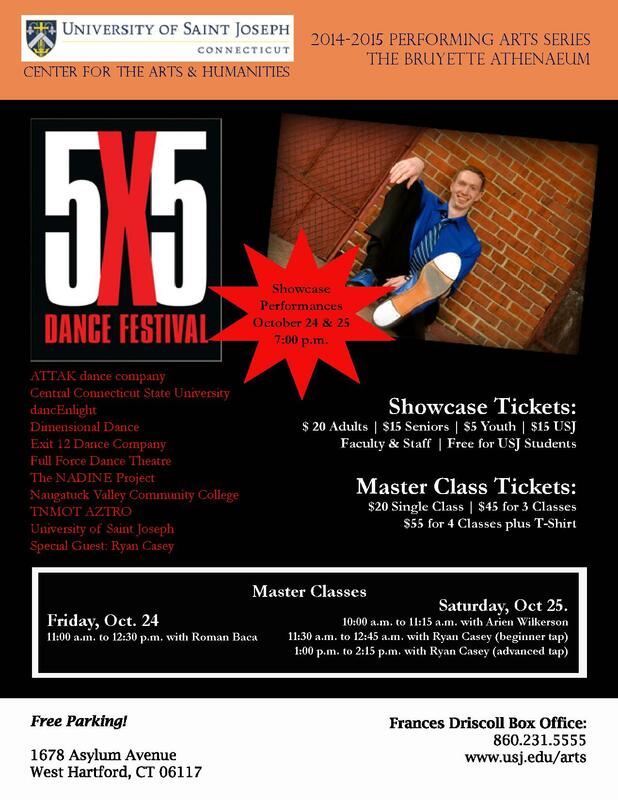 Or, you can take class with me in West Hartford, CT, as part of the 5×5 Dance Festival, on Saturday, October 25th. Beginner students are welcome at 11:30 a.m., advanced students at 1:00 p.m. Only $20/class! 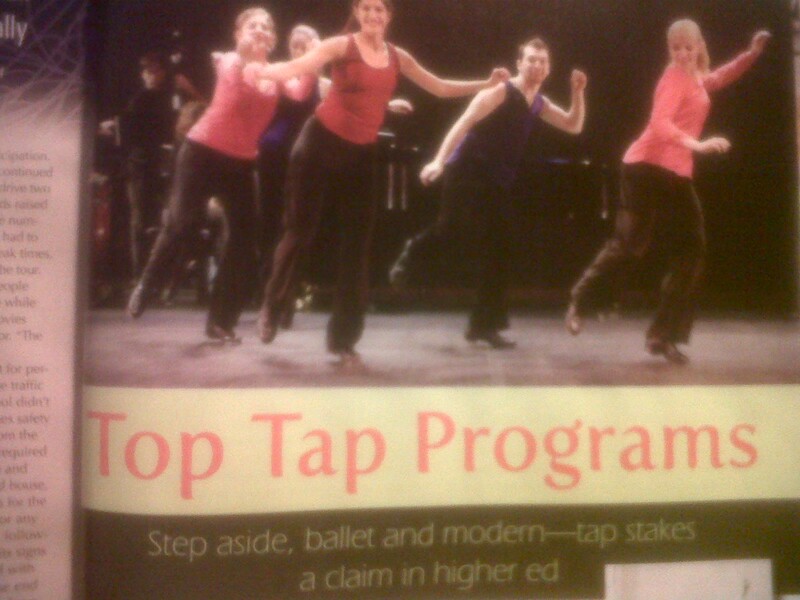 My article in this month’s Dance Studio Life Magazine, “Top Tap Programs,” spotlights exceptional tap programming in higher education. Pick up your copy today & read all about ’em!